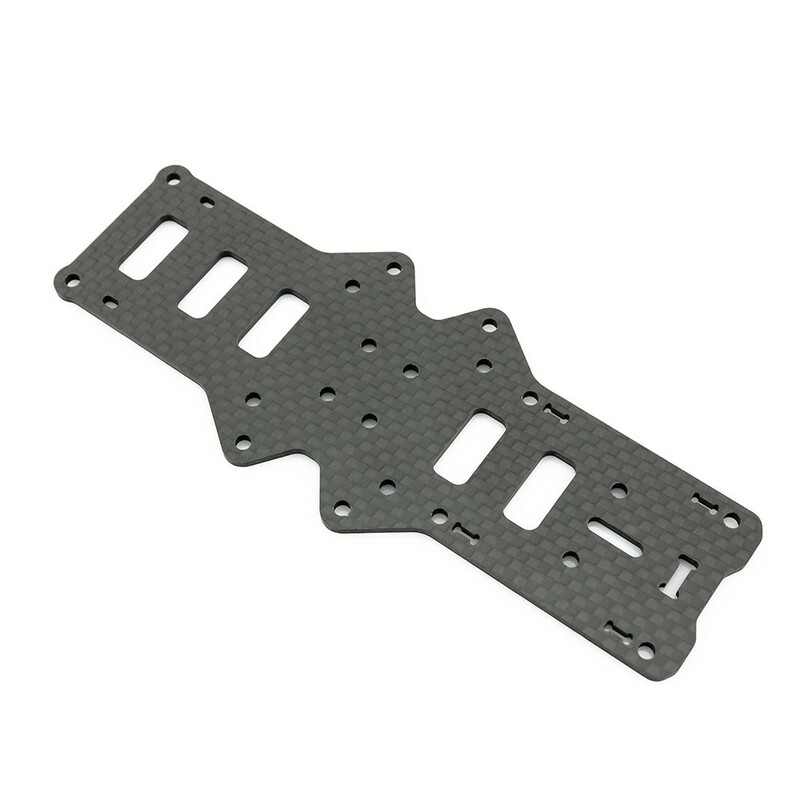 The Lumenier QAV-R bottom plate Light is for the Lumenier QAV-R high speed FPV drone racers. This bottom plate version has had 2 additonal cutouts in the center of the bottom plate / frame removed, cutting these holes gives the plate a redusction in weight. The additional carbon fiber material removed is at the point where the arms mount to the frame. The additional weight saving where the arms are mounted means that the frame will not be as strong when crashing.